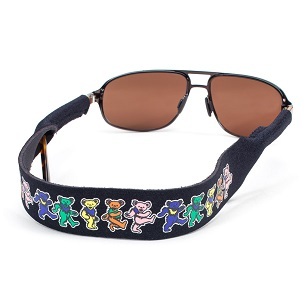 Much like suiters, these XL croakies and perfect for holding onto your sunglasses in style. Designed to hold onto larger framed sunglasses, and regular ones too, these croakies are fun and funky and come in a variety of Grateful Dead patterns! Made in the USA! Available in 3 Grateful Dead patterns.